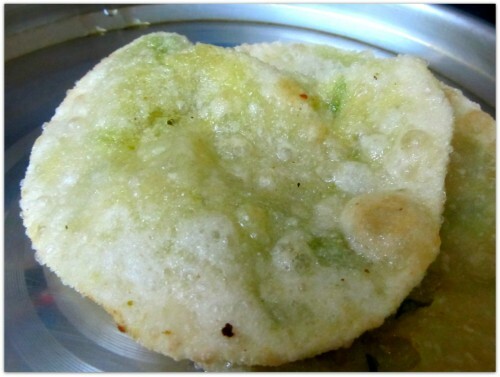 One of the great dishes of winter is Koraishutir Kochuri (Kachori made with sweet green peas filling). I have a lot of nostalgia associated koraishutir kochuri. 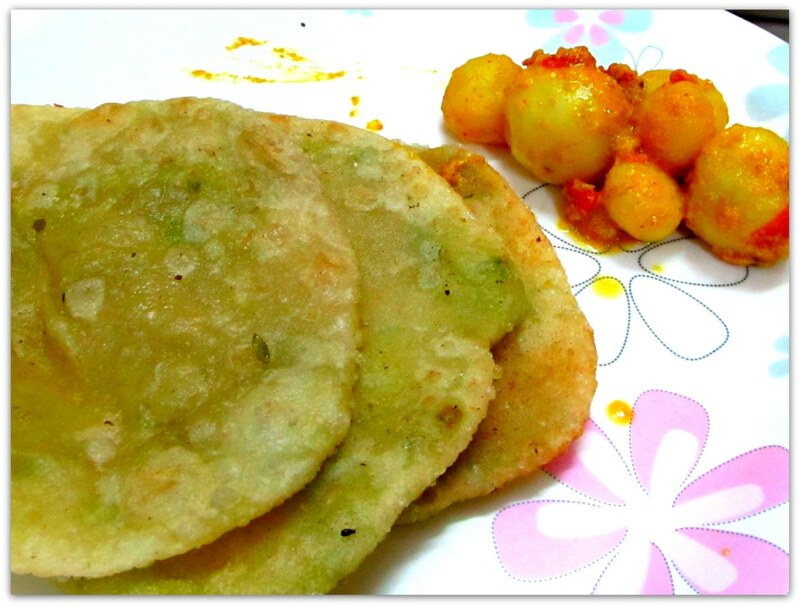 All the variations I have tried till date, my grand-ma’s will always be the best. Next in line will be the ones from Mouchak, a sweet shop near my college. Mouchak takes its second place not only because of the taste but also for the company. 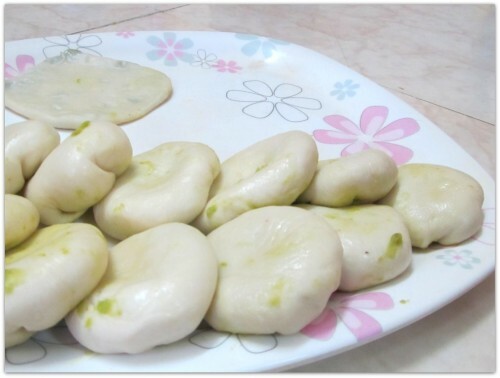 Me and my best friend used to visit Mouchak at least once a week during our four years of college, 2 pieces of Kochuri with chola-dal for only 10 rupees. Just by remembering I am salivating. 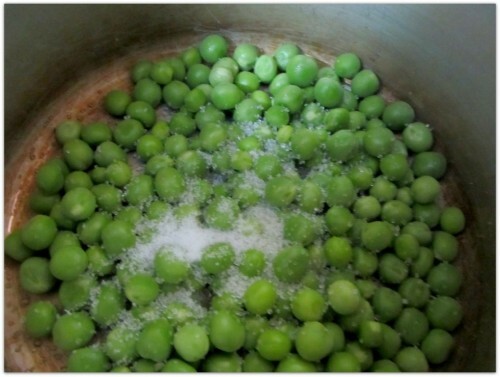 If you are using fresh whole peas then take the seeds out and put them in a pressure cooker with little salt and sugar. Add water in the cooker and cook for 3 to 4 whistles. 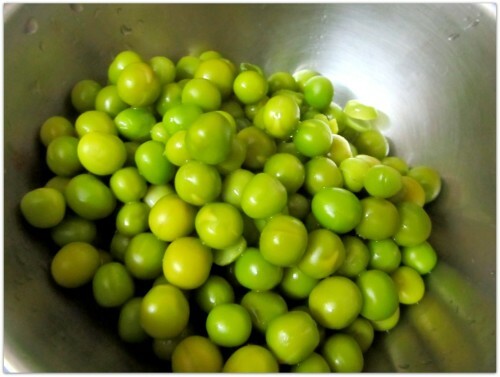 If you are using frozen peas, you do not need to add extra water in the cooker, just pour the frozen peas in the cooker, add little salt and sugar. Then cook it for 1 whistle. 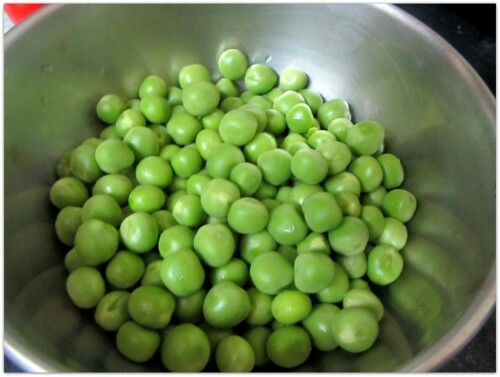 When the peas are cooked, drain the extra water and let them cool. 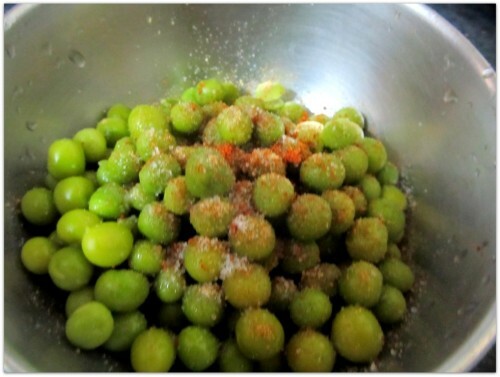 When they are cool enough to handle; add hing, red chili powder and if necessary (taste it) little more salt and sugar. 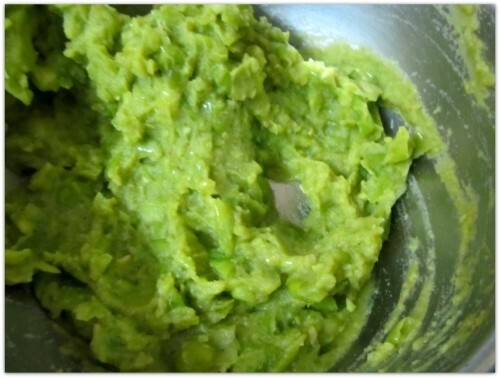 Smash the peas either with hands or in a grinder till you get a smooth paste. Cover the filling and let it cool down. We need the fillings to come to room temperature. Otherwise it will be hard to make the dumplings. 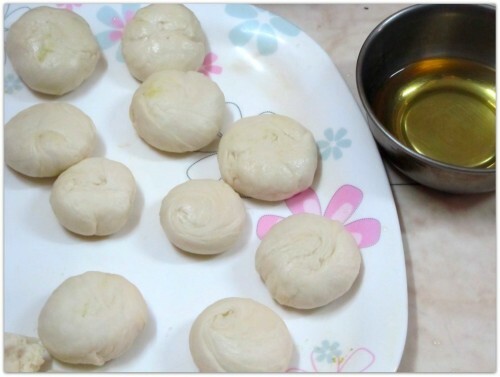 To prepare the dough, take the flour in a bowl, add one tbs of vegetable oil and mix well. 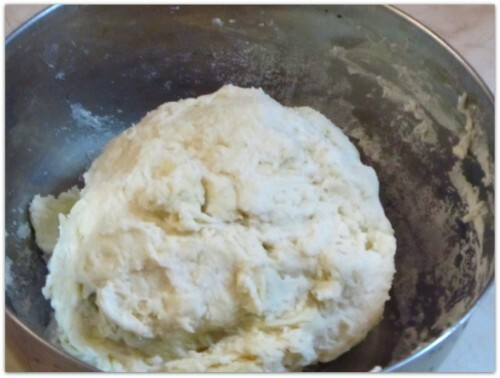 Next slowly add water and knead till you get a little sticky dough. 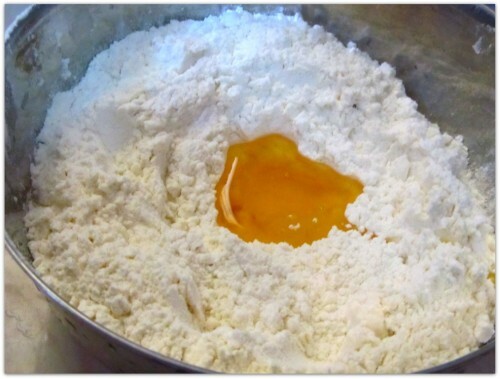 They say that you will approximately need half the amount of water with respect to the amount of the flour, means 1 cup water for 2 cups of flour. However, I have never measured it. If you ever get a chance to measure and find it to be true let me know for sure. Cover the bowl and keep it to rest for 15 mins. 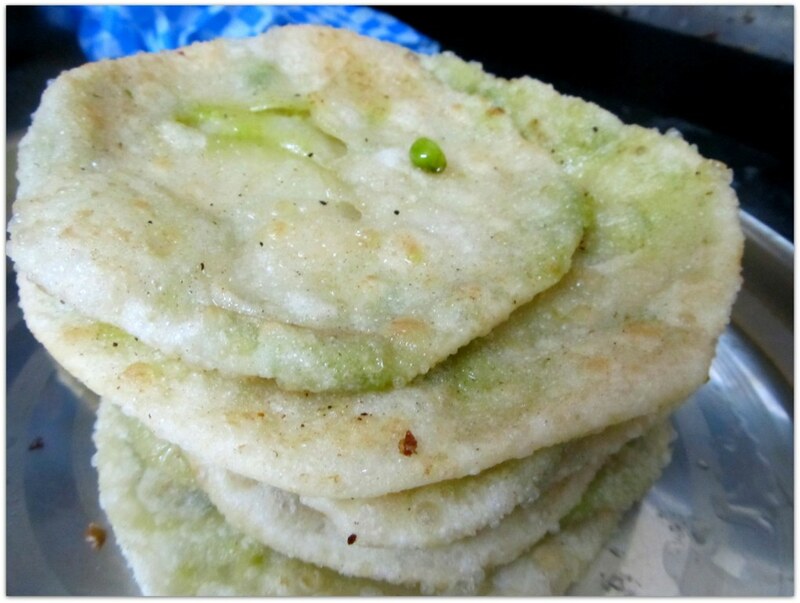 My mother says that if you rest the dough, all the flour particles get time to absorb the water. I don’t know if that is true, but if I let the dough rest, the final product is better 🙂 , so I let it rest. 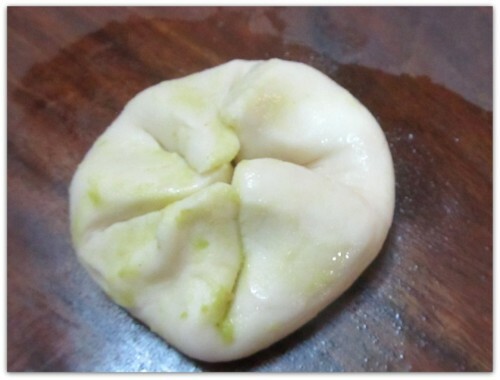 To prepare the dumplings first we need to divide the dough into small pieces. 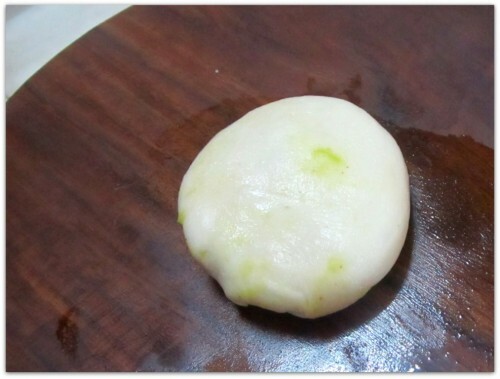 Rub a little oil in your hand and press each of the pieces to achieve approx 1.5 inch diameter smooth balls. 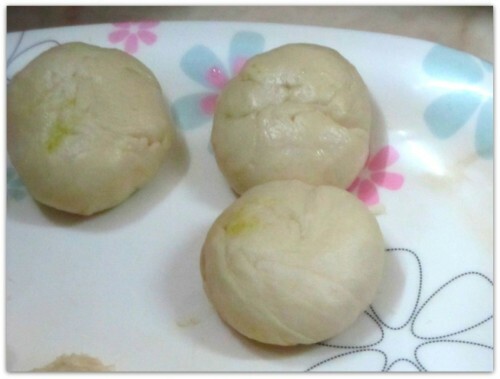 Using a clean wooden surface and a rolling-pin flatten the balls and place a small spoonful of the filling at the center. 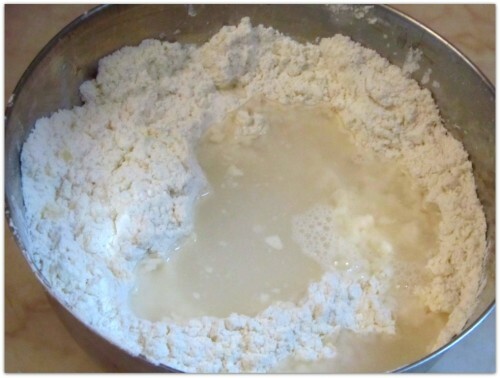 Gently cover the filling by bringing the sides to the middle. Repeat the same process for the rest. 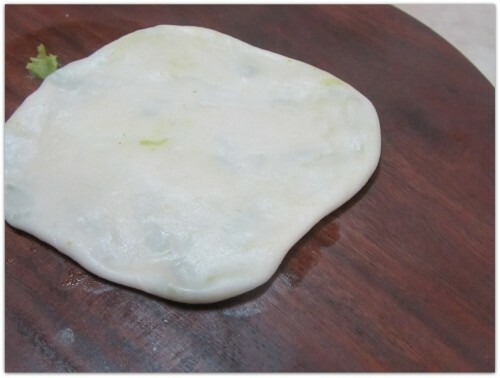 To make the kochuri, place the dumplings (open side down) on the wooden surface, then gently and slowly press with the rolling pin to get the flat circular (somewhat) shape. Repeat for all the kochuris. 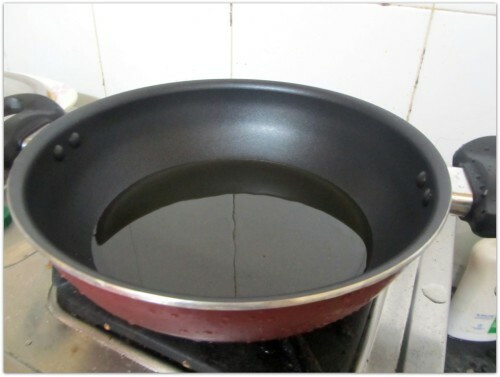 In a frying pan take vegetable oil. We need a lot of oil here, since we are going to deep fry the kochuri. 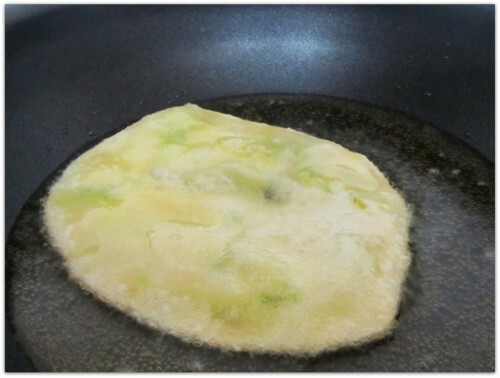 Wait till the oil is hot and then slowly and carefully add the kochuri in the oil one at a time. 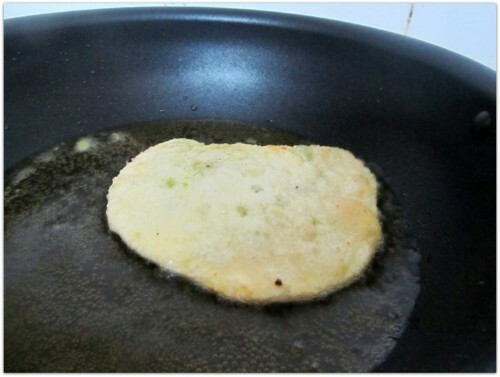 Fry both the sides till you starts to see some golden spots. 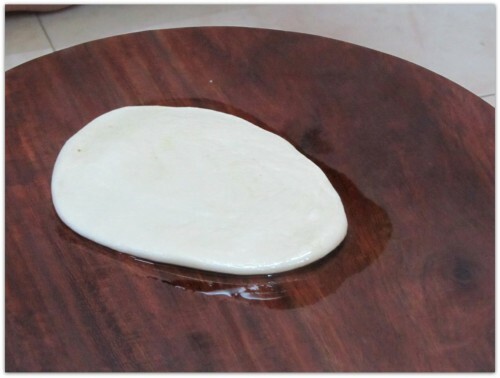 Take the kochuris out of the oil and soak the excess oil with paper towel. 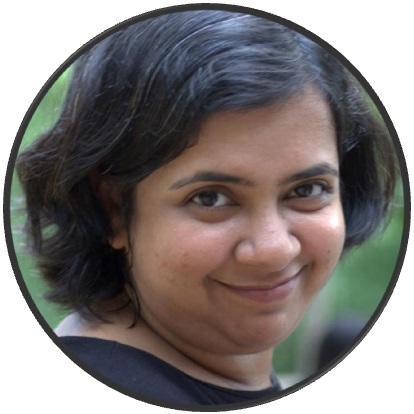 You are ready to serve the koraishutir kochuri. 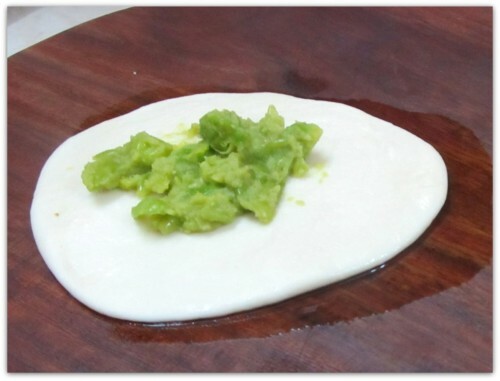 Since this has a flavor of sweetness, accompany it with some spicy side dish like alur dom. 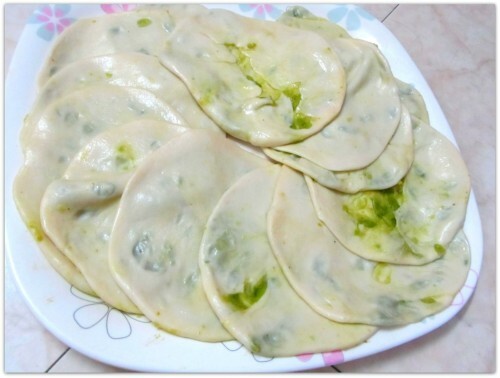 Serve with some spicy side dish.